Another Biggie from Japan! 18.66 lb! 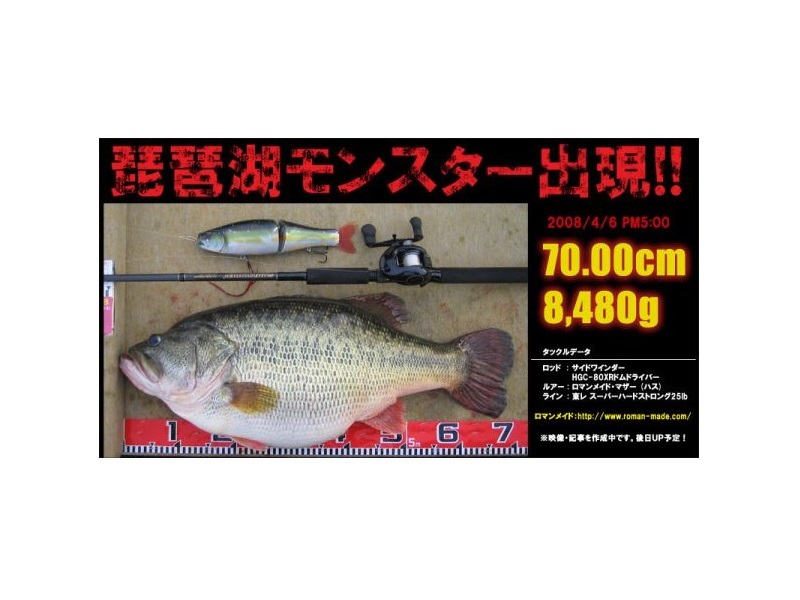 This monster of 18.66 lb (8.48kg) was caught at Lake Biwa, Japan, on 6 April 2008 by the holder of the current Japanese Record Bass and joint World Record Bass, Manabu Kurita. Check out that girth in relation to the length! So now you know why you just cannot trust those popular length/weight tables, especially when it comes to big Bass!